pork shish kabobs are easy to make on grills though more fun in ovens, there perfect for a steak out in the summer or spring! 1.) Cut your pork into small cubes. 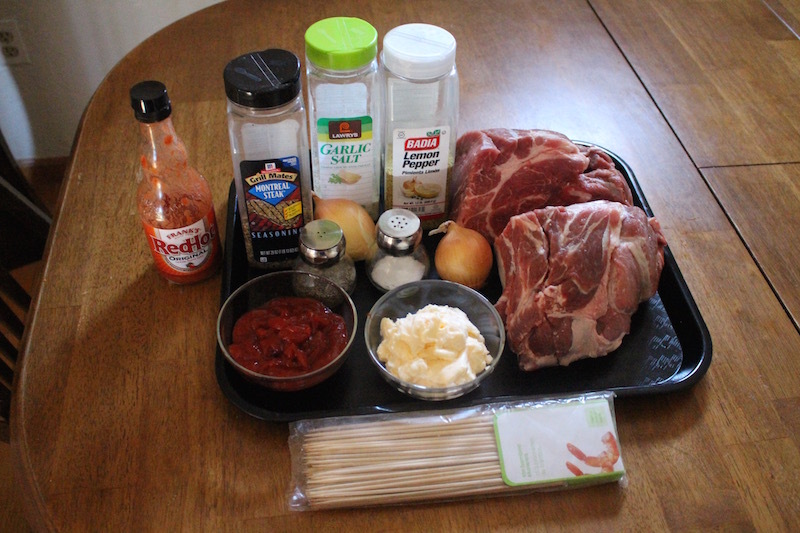 In a large bowl add your pork, shredded onions and seasoning (Garlic Salt, Montreal Steak Seasoning). 2.) 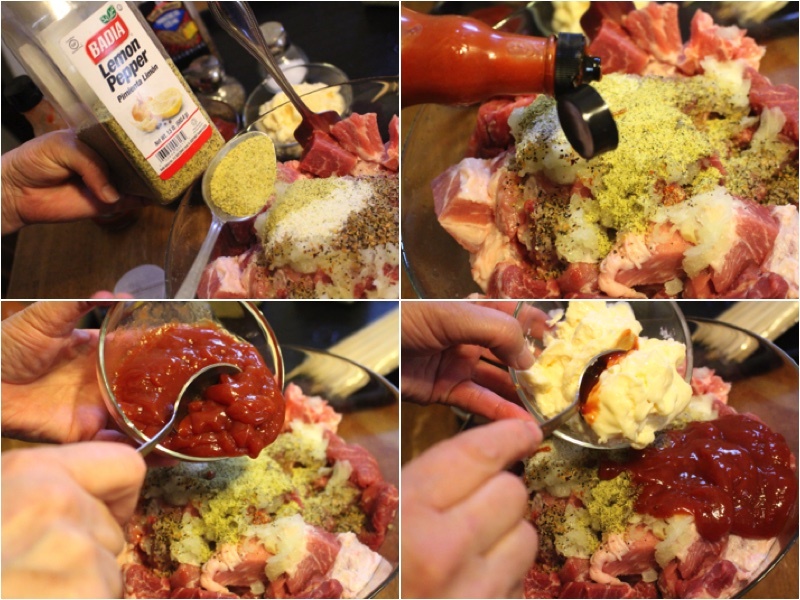 Also add lemon pepper, hot sauce, ketchup, mayonnaise and mix well. Cover it with food wrap and let it sit for 6 hours in room temperature. 3.) Use long long tooth pick and place 7 pieces of pork onto each one. Make sure your pan is greased before you cook it. Place it in a preheated 350 degrees F oven and cook for about an hour or until they are golden brown. Place on a serving dish and enjoy! Cut your pork into small cubes. 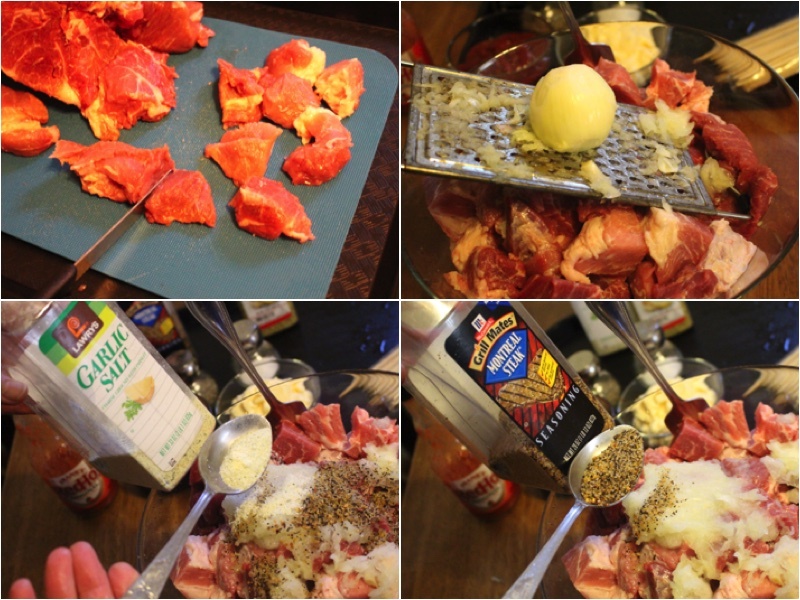 In a large bowl add your pork, shredded onions and seasoning (Garlic Salt, Montreal Steak Seasoning). Also add lemon pepper, hot sauce, ketchup, mayonnaise and mix well. Cover it with food wrap and let it sit for 6 hours in room temperature. 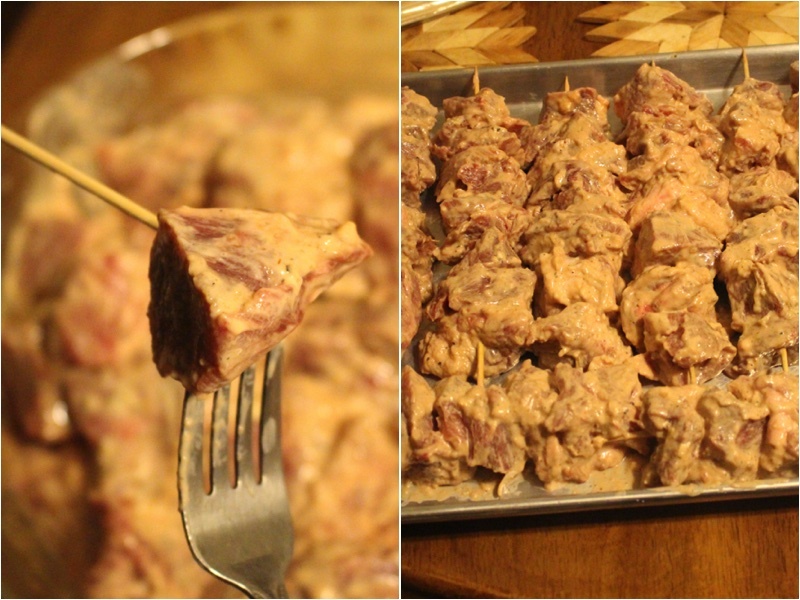 Use long long tooth pick and place 7 pieces of pork onto each one. Make sure your pan is greased before you cook it. Place it in a preheated 350 degrees F oven and cook for about an hour or until they are golden brown. 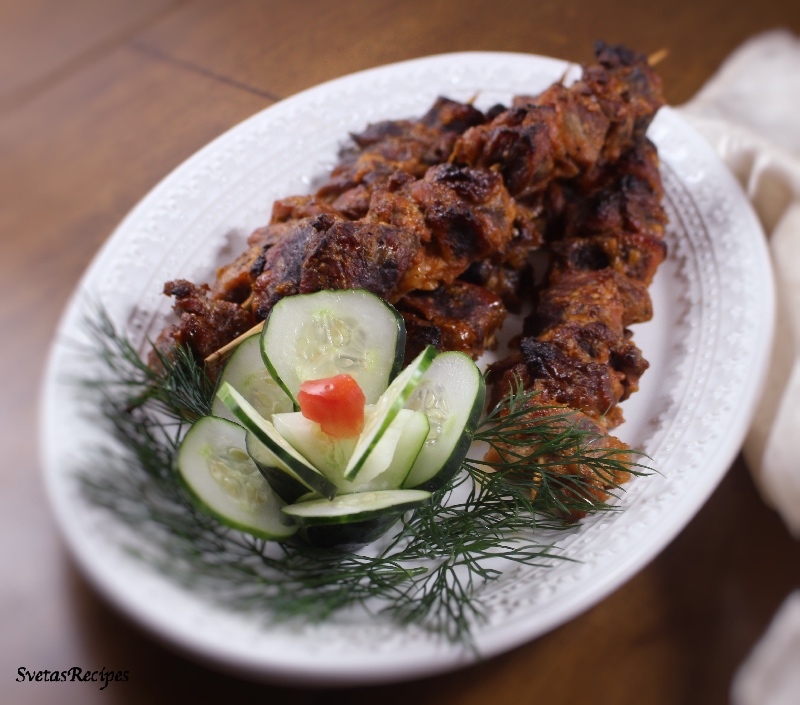 Place on a serving dish and enjoy!